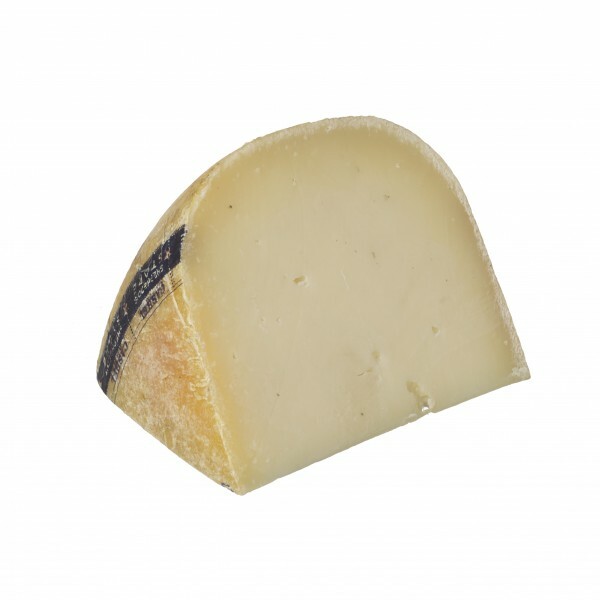 A traditional, European style semi-hard cheese with a delicate, creamy texture. IngredientsPasteurised sheep’s whole milk; salt, rennet, microbial cultures. Shepherd’s Store is made by the Grubb family of Cashel Farmhouse Cheesemakers on Beechmount Farm, Co. Tipperary, Ireland. Famous for their Cashel and Crozier Blue cheeses, this cheese is a more traditional, European style semi-hard cheese. As a seasonal product, it is made only between the months of February and September, and is aged for a minimum of six months. The farm has been in the family since 1938, with cheese production commencing in the early 1980’s. Shepherds Store is the newest member of their cheese family, only being established in 2017, but holds great promise to become as popular as their other cheeses. Shepherd’s Store has a firm delicately creamy texture with a mix of savoury and gentle sweet notes. The flavour develops from a mild tangy fruitiness when young to a medium yet mellow flavour in mid maturity, developing spicy characters with prolonged ageing. Shepherd’s Store is handmade from 100% local Irish Friesland sheep’s milk. Each wheel weighs 5kg and it takes 30 sheep one day to produce enough milk to make a single wheel of the cheese, around 50 litres. While maturing Shepherd’s Store, it is washed and turned by hand, once a week for 6 months, until it reaches a balanced flavour ready for the consumer to enjoy. A great cheeseboard cheese on its own, but can equally add another dimension to a green salad with toasted pine nuts, ripe tomatoes and prosciutto.